Those who have used Bluetooth headsets right from the very beginning with their then technologically advanced cellphones would definitely have come across the brand name Jabra, as the company has rolled out a fair number of decent Bluetooth headsets in the past. Well, they don’t really have any standout device like Aliph’s Jawbone series, but then again they don’t need such a distinctive device considering the fact that most of the money comes from the average cellphone user who wants a decent performing Bluetooth headset that is priced correctly. Well, today we’ll look at the Jabra Cruiser Bluetooth wireless speakerphone, where it is the first of its kind that features Noise Blackout technology when used with cellphones. Noise Blackout technology involves a dual microphone system which is capable of removing virtually all street and traffic sounds while optimizing voice quality simultaneously to make sure you get your message across in a crystal clear manner. Of course, this does not guarantee that the person on the receiving end will follow through with whatever instructions you provide since that is out of Jabra’s hand, but at least it does do away with the excuse of the line “being not clear” during a conversation. The Cruiser is able to bring superior audio quality in a sleek design alongside in-car convenience that makes it possible to keep both hands on the wheel while discussing about a multi-million dollar deal. Another interesting aspect of its proprietary Noise Blackout technology would be the ability to identify the direction of various sounds, where among them include traffic and backseat chatter. This technology helps to reduce only surrounding noise without distorting a user’s voice. With Multiuse connectivity, you can hook up the Jabra Cruiser to a couple of Bluetooth-enabled devices, and they are not limited to just cellphones but can also encompass smartphones and MP3 players among others. The inclusion of a built-in FM transmitter makes it possible to store both calls as well as MP3 files on a mobile device, where you can play it back on the Jabra Cruiser via a vehicle’s stereo system later on. 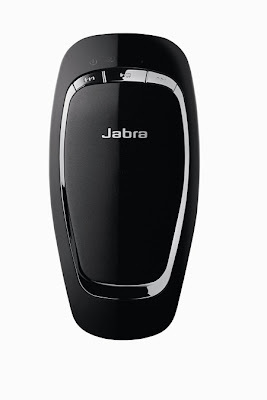 The Jabra Cruiser comes with a price tag of $99.99.